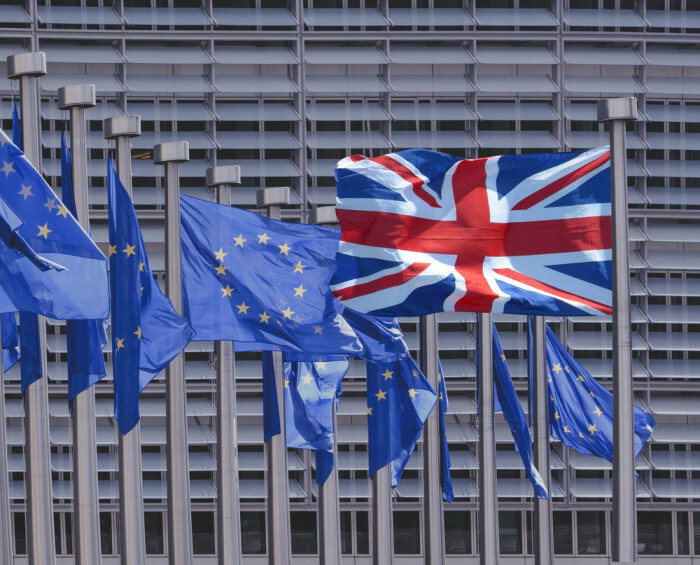 Now that the markets have had a few days to react to the news of the UK referendum, perhaps we can take stock of what the future might hold for Islamic finance in Europe. It’s still way too early to call, of course, but I would certainly disagree with some commentators who are stating that Brexit is a blow for Islamic finance in the UK (or Europe for that matter). After all, leaving the EU may mean that authorised financial services firms in the UK may no longer be able to ‘passport’ business to the EU but how many of the UK’s Islamic banks are active in Europe anyway? And as for the UK’s domestic ambitions for Islamic finance, progress will surely mirror that of the conventional banking industry: if it survives and thrives post-Brexit, then so will Islamic finance. The British economy remains fundamentally robust and London’s financiers are some of the most dynamic and adaptable in the world, so just as I don’t expect London to cease being a global financial capital, nor do I expect London’s Islamic finance ambitions to decrease. That said, I’ve always felt the UK’s achievements in the field of Islamic finance to be overblown. In the early 2000s London exported some of its brightest talent (mostly to Dubai) to kickstart the creation of cutting edge bulge bracket Islamic finance teams. They in turn gave us benchmark sized sukuk, hybrid acquisition structures and the controversial double-wa’d that opened the doors to structured investment products and treasury management instruments. Later UK government initiatives established strong working groups to create a framework for Islamic finance which is the envy of Europe and the non-OIC world. One might even argue it is easier as a result to issue Islamic product from London than almost any other Muslim-majority nation. Islamic finance education is exceptionally strong in the UK and as I can personally attest to, student interest has never been higher. The knowledge and passion demonstrated by students for the ideals of ethical finance consistently blows me away. Witness the student-led conference held by the Islamic Finance and Ethics Society at the London School of Economics earlier this year. But in pure number terms, what progress has Islamic finance tangibly made in the UK? Retail penetration remains constrained by the lack of consumer education (most British Muslims remain sceptical of Islamic banking) and the lack of coverage by institutions (there is still only one retail British Islamic bank). When a hard fought opportunity to raise London’s game materialised through the issuance of a sovereign sukuk, the British government opted to pipette the merest drop of £200 million into the market and our domestic champions had to be content to watch from the sidelines as buyers and not arrangers. As a result, UK corporates took no notice and the much hoped-for UK sukuk market never materialised. The big bank employers have been noticeable by their absence since the global financial crisis, and that in turn has affected innovation: big banks can better afford to invest in R&D to develop technically complex products and so their absence has led to a degree of stagnation in product development. As a result, rhetoric from politicians has tended to exceed the reality of London’s achievement. Europe in turn has not taken up the baton, even though financial centres like Luxembourg and Dublin remain active in niche areas like the administration of Islamic funds. So if the Islamic finance industry in Europe has not yet achieved the heights of Dubai and Kuala Lumpur, perhaps the only way still remains up? I don’t expect a significant brain drain to more developed Islamic finance markets simply because there aren’t that many specialists here. Most of them now ply their trade in the specialist boutiques – that’s where growth and innovation is coming from. My own institution remains on the hunt for assets in the UK: our Gulf-based investors consider the UK to be an attractive, robust and open economy. Brexit does not change that. If anything the slide in the value of sterling presents a buying opportunity for dollar buyers. And whilst the decline in oil prices has constrained the ability of oil producers to invest state funds overseas, high net worth and private institutional investors still have money waiting to be deployed. So foreign direct investment with Shari’a compliant money remains very much alive. We’re waiting to see how the domestic banking market evolves in the next few weeks and months. Recently bank finance for property assets has dried up whilst banks waited for the outcome of the referendum. Now that the result is known, the hope is pricing and appetite will remain unchanged. This will no doubt be a function of continued investor interest. The UK remains a safe market in the long term, as do markets like Germany, and we therefore don’t believe that funds are under any pressure to sell their holdings at discounted levels. One final word. Picture this scenario: both Conservative and Labour parties are in disarray. An hour ago before I wrote this piece, Boris Johnson has surprisingly pulled out of the leadership race. Let’s imagine Michael Gove is elected Prime Minister and occupies the post by the end of August. He may call a general election in order to secure a clear five year mandate. UKIP scoops up a number of Labour seats in the rest of the country and now you have a Tory government that has shifted to the right with a UKIP opposition. Scotland splits and there is no longer any representation by the Scottish National Party in Westminster. We now see a huge move to the right in British politics with a resulting adverse impact on minorities, especially Muslims who already felt under siege in the UK pre-Brexit. We know how difficult it has been for Islamic finance to establish a foothold in France, and other jurisdictions have had their challenges as well. Would a move to the right allow Islamic finance to flourish in Britain? An unlikely scenario, you may feel. Except that this is the scenario imagined by the MEP father of a friend. And one that I am praying doesn’t come to pass. Thank you for sharing! The sooner a new PM is elected the better, as the uncertainty currently cannot be good for foreign direct investment, even though, as you mentioned, the pound is very attractive right now. The country needs a unity government. You would think so, Simon. But in 10 years, the British Islamic banks have made virtually no inroads into Europe. I suspect amongst them probably Al Rayan Bank would be most interested since there is a strong potential retail base in Europe.